'Fortnite' has become popular in part due to it's impressive arsenal of weapons, but which of these grant the best competitive advantages? 'Fortnite': Which guns should you use? NFL: Public outcry demands rule change after overtime win by Patriots The story behind the success of 'Fortnite' Which Modern City simulation game is right for you? ''Fortnite'' has become the standout game of this year, constantly breaking records and impressing both players of the game, as well as viewers of its sizable twitch following. The game's recent success has players around the world wondering which weapons give them the highest chance of obtaining a victory. This list shows which guns dominate which areas of the game and best suit your playstyle, as well as some guns that you should probably leave alone (I'm looking at you crossbow). From day one, these weapons have been some of the most versatile and effective at eliminating the competition. These weapons excel in short to medium range, though they can be effective at long range if you can land your shots. An ideal playstyle for these weapons is building a stair with walls on each edge and swiftly taking shots while peeking quickly to avoid being hit by enemies. It would also be wise to avoid using this weapon indoors, as a pump or tactical shotgun definitely has an advantage over an m16 or Scar in that scenario. If you have ever landed in Tilted Towers you are definitely familiar with how incredibly deadly any shotguns can be in the right situation. Shotguns are ideal for close quarters and guarantee a distinct advantage against just about any gun in the game at Close Range. These guns encourage a mobile playstyle and constant jumping to avoid being killed while waiting between shots. Some places to avoid when using these firearms are open hills and valleys, as you are extremely susceptible to being sniped or ambushed by players with assault rifles who would be more than happy to take the hard-earned loot that you previously acquired. Each of ''Fortnite's'' 45 million players are well aware that Bolt Action Sniper Rifles offer some the best opportunities in eliminating competition from a safe distance. The strength of this weapon lies in its ability to allow users to pick off vulnerable enemies while staying relatively safe themselves. A well-suited playstyle for this weapon would be staying on the edge of the storm and at a high elevation to be able to see enemies running to safety inside the circle, giving you a clear and easy shot at many nearby players. I would, however, recommend using a different gun when not in large open spaces, due to it being incredibly difficult to hit enemies at a close range with the large magnification on the scope. 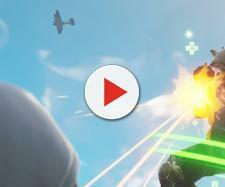 Among the rarest and most effective guns in the game, the two explosive weapons in "Fortnite" can utterly destroy a team with one mere rocket. High damage and precision are perks of both these weapons, with the Rocket Launcher even having no bullet drop. From destroying buildings at long range to instantly knocking enemies at close range, these weapons truly can do it all. The only problems with these launchers are due to both the ammunition for these weapons, and the weapons themselves being so difficult to find. Each shot could be the difference between a resounding victory and crushing defeat. These are just a few of the fun and effective weapons you will find in ''Fortnite Battle Royale.'' Epic Games has made it clear that they plan to constantly update the game with new weapons, traps, and features. 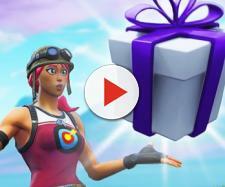 For all things 'Fortnite,' be sure to check out my page, as well as the great community of Fortnite Journalists we have here on Blasting News.